Limited Release SKREEONK T-Shirts are here! Just In Time For G-FEST! – SKREEONK! Limited Release SKREEONK T-Shirts are here! Just In Time For G-FEST! Hey guys! Jon @ UnCanny here with some exciting merchandise! 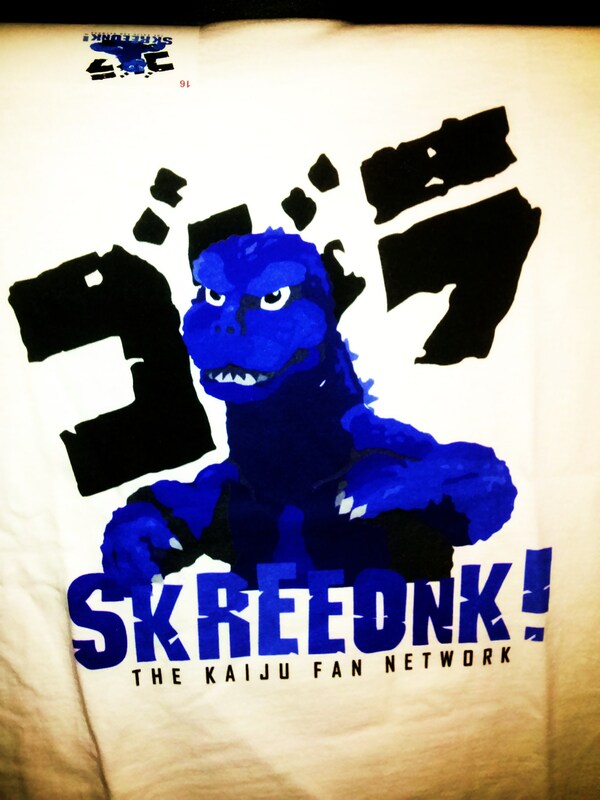 We’ve ordered a very limited run of Skreeonk.com T-Shirts, just in time for G-Fest! These guys are Fruit of the Loom and super soft! Sizes small (for the kids) all the way through XXL are accounted for. But thats not even the best part! One in every five people who buy a T-Shirt will be shipped a FREE official Legendary’s Godzilla Imax poster (14×20!) You read that right! Buy a T-Shirt and you’ve got a 1/5 chance of a sweet official cardstock poster being rolled up in your T-Shirt and arriving at your front door! We’re selling these guys at only $15 a piece, and will ship them to you for $20 flat! I’m also guaranteeing that they will arrive well before you leave for G-Fest here in two weeks if you pay with Paypal, so no worries there. Want one? Shoot me an email at jonatuncanny@gmail.com and let me know what size(s) you want! And yes, if you buy five T-Shirts all together I will most certainly be sending you a free poster! Hope to see you all at G-Fest! Shoot me an email with any questions! Posted on June 27, 2014 1 By Jon D. B. Fan Fare! Posted in Fan Fare!, G-FEST XXI (2014), Kaiju Fan Marketplace Updates!, KFN Updates! Next Post EXCLUSIVE! Cinefex Covers Legendary’s GODZILLA!